A June 1, 2016 summit for employers who want to hire military veterans will be hosted by the Indiana Department of Veterans Affairs. She says the state gets some credit for that drop. 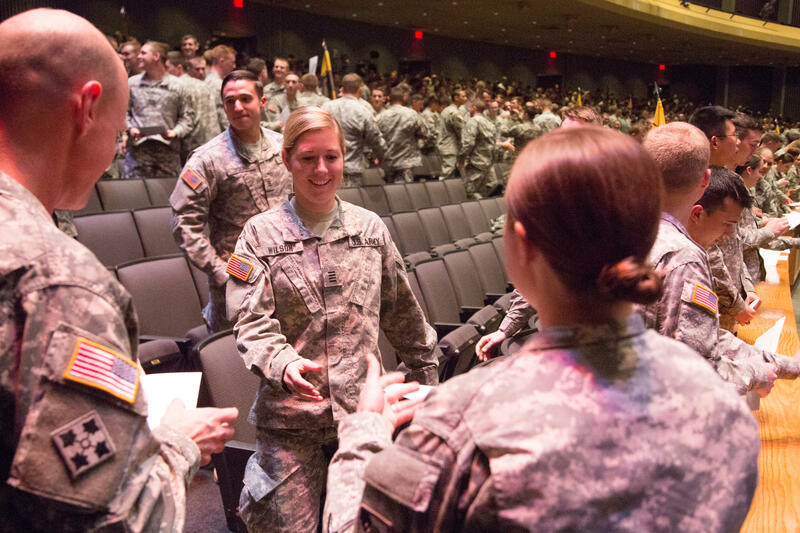 “Our IDVA and Indiana National Guard employment team has placed, since 2014, over 1,600 of our veterans into employment,” she says. Pugh says there are still barriers for the 1.4 percent who are actively looking for employment. She says the summit aims to provide information employers are requesting. Pugh says the event will include presentations from businesses that have set up veteran organizations within their companies to help new hires adjust to the workplace. The summit, How & Why to Hire a Veteran, will take place from 8 a.m. until 4 p.m. Wednesday, June 1 at the Marriott Indianapolis Downtown, 350 West Maryland Street. The state will host a smaller-scale event at the Tippecanoe County Fairgrounds at 1010 Teal Road in Lafayette from 10 a.m. until 2 p.m. on Wednesday, June 8. Employers will conduct screening interviews and veterans can obtain information about benefits, education and other services. Gov. Mike Pence Tuesday signed more than a dozen bills he says will expand benefits and opportunities for Indiana’s military servicemembers and veterans. 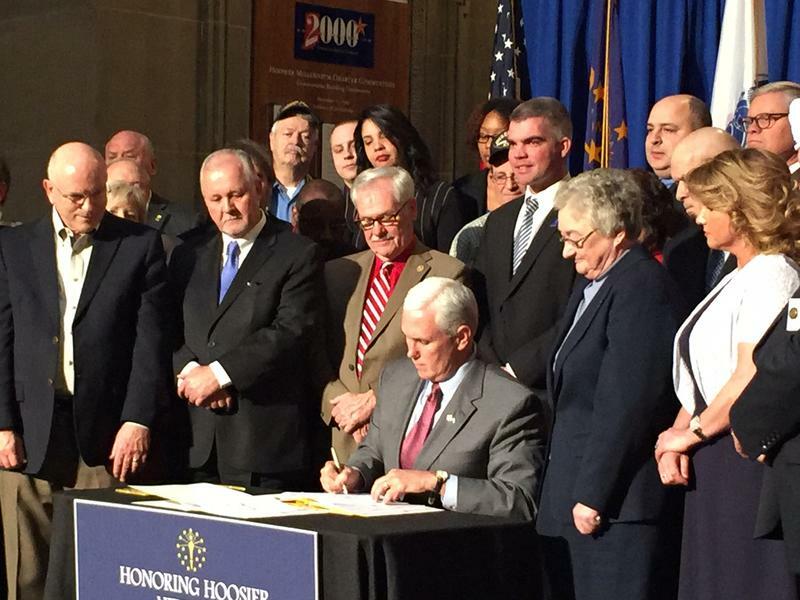 Former Indiana National Guard Adjutant General Martin Umbarger was one of more than two dozen people gathered around the governor as he signed 13 bills into law. Umbarger says he’s particularly pleased with one that expands the Military Family Relief Fund. That program was originally created to help post-9/11 veterans pay food, housing, utility, transportation and medical bills. U.S. 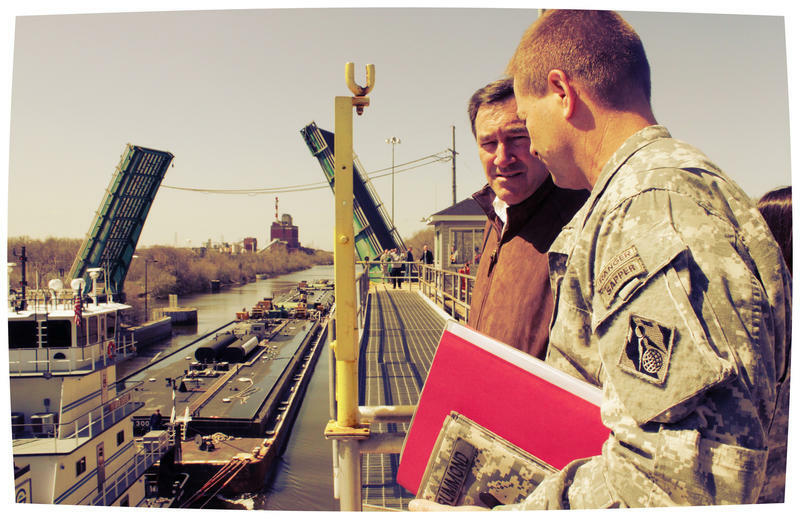 Senator Joe Donnelly says his latest effort on military suicide prevention aims to help servicemembers and veterans connect with mental health providers in their communities. That follows up on Donnelly’s 2014 legislation that allowed all military members to receive annual mental health screenings. Senator Joe Donnelly says his latest package of bills, recently signed into law, helps servicemembers find mental health providers attuned to their specific needs. Donnelly says one way is to expand training beyond traditional mental health providers.